Very exciting to hear about all of this, and yes, amazing all of the decisions to be made. 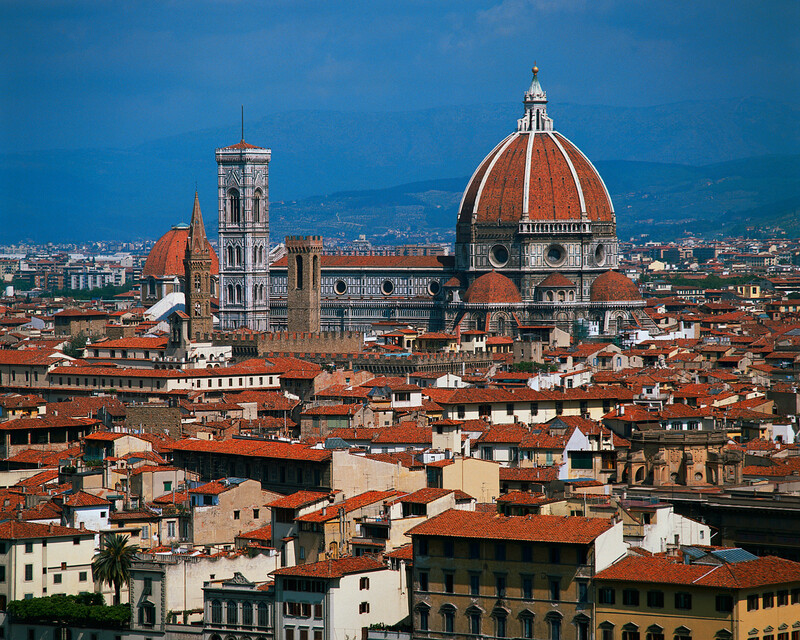 Having been to Florence many years ago and loving it, I’m excited about you connecting this beautiful town to the Way. Looking forward to hearing more! Enjoy! Sounds like a fun and fulfilling journey and hopefully the book will be a bestseller! 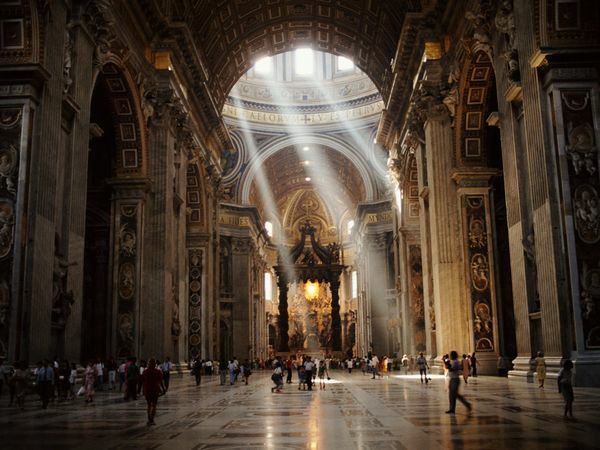 m I’m very interested in all that you have ahead of you on this journey….learning Italian, walking the path, insights for fellow pilgrims. I’m sure you will have a fantastic time. Italy is a beautiful country with wonderful people and places to fall in love with over and over again. Hi Sandy, I hope it never turns into work – the Camino has felt like that from time to time and it takes all the joy out of it. I wish you all the best. Hi Sandy, you don’t know me, but I have been reading your blog because I am hoping to walk part of this route this year, maybe in October. I have ordered the German guide book you mentioned and I’m very grateful for the information you have included here. I walked the Camino Frances in Spain in 2012 and last year I walked part of the French route from Le Puy to the Pyrenees. I would like to visit Rome soon for other reasons, and I am collecting information to see if I can walk the route you are about to talk about in your book. Of course it will require more planning than the very popular routes to Santiago, but it sounds fascinating. Of course I would be grateful to hear of any more information you have, and I’ll let you know if I ever manage to set out on the St Francis way. Hi Sandy, thanks, and I would be grateful for those links. Are they published guides or websites? 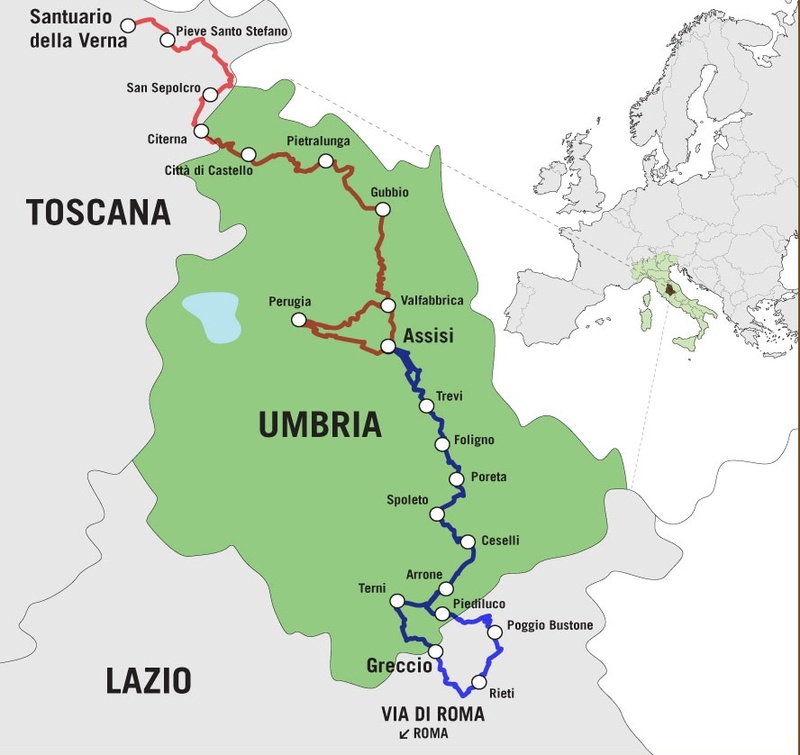 So this year instead of walking to Santiago, I feel like walking to Rome, I’ m planning to walk part of the Saint Francis way (from Assisi to Rome) in late August! It is difficult because I don’t seem to find much information, I really like that because it gives you a lot of room for adventure but at least some, to know where to go! Could you be so kind to pass me the links? I would really apreciate it and I could post you some comments or some feedback when I finish. Congrats! Absolutely. Glad to help. When I can sit down in front of a real computer in a couple of days I will send you the links. Meantime, ciao! My husband and I will walk Rieti to Assisi in May 2015 in 5 days. This is a spiritual pilgrimage that I have planned for 2 years in honor of St. Francis. I’ve been concerned with the lack of trail development and markers. You’re book couldn’t have come at a better time for us. Will we be able to get a copy by April? Right now we’re working with Franciscan communities here in Chicago to find lodging in convents and monasteries. Your suggestions would be most welcome. Hi Nancy ~ I’m glad you’re walking the route next year! The stretch from Rieti to Assisi is beautiful and you will enjoy it. Most of it is pretty well marked. Be aware, though, that there are a couple of routes in this stretch and you’ll need to make a choice (di qui Passo San Francesco and Via di Francesco). I chose the Via di Francesco which is pretty well marked, especially in Umbria. The overnights are: Rieti to Poggio Bustone to Piediluco (where you enter Umbria) to Arrone to Ceselli (or Macenone) to Spoleto to Trevi to Spello to Assisi. While in Rieti you all want to take the bus or taxi to Greccio which is nearby. There are options for convents and some monasteries along the way. For info on the route go to http://www.viadifrancesco.it. My book comes out in fall 2015, but let me know and I can send you GPX tracks, accommodation lists and other details if you like. Buen camino! We’re in the final stages of editing and will be publishing this summer with a release date of Sept 15 — in plenty of time for your April pilgrimage. Please watch your country’s Amazon affiliate or the publisher at http://www.cicerone.co.uk for updates. Hi! Thank you for the blogpost. I think of hiking Via de Francesco on my own- do you think a tent will be necessary? I’m trying to look for cheap accommodation, if you have any suggestions, let me know! I wouldn’t suggest a tent, but there are parish hostels available along much of the route. My book has the full details. When do you plan to walk? The last two weeks of July. Will your book be out by then? Do you also happen to know if there are similar parishes for the route from Assisi to Rome? Great information. 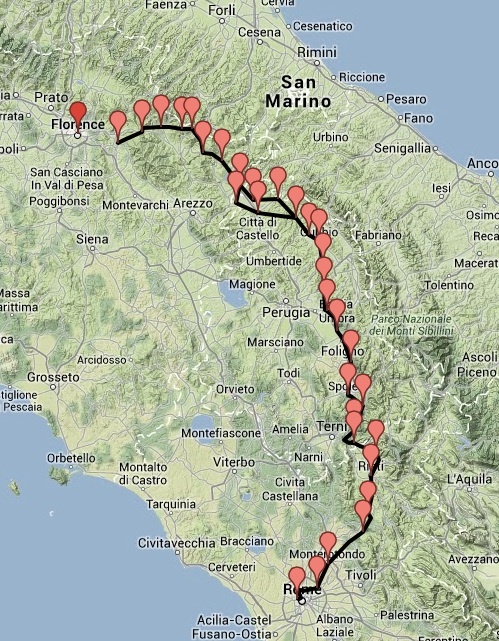 We are planning to walk from Assisi to Rieti in May 2016. Your book sounds like it will be very helpful. Sorry I should have stated that your book will not be released in time on Amazon for us. Will it be sold in book stores in the US on September 30? We are leaving the following day.